This ring will is an instant fave! 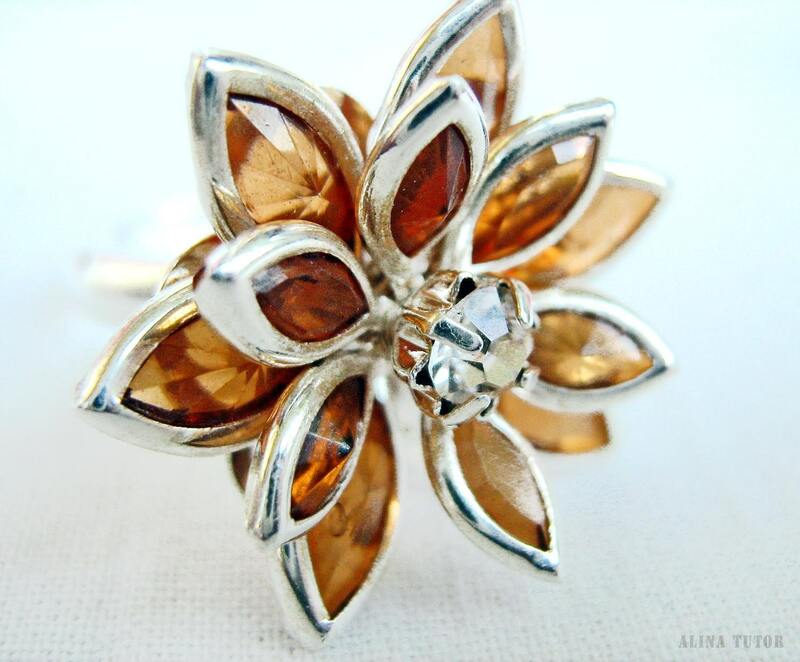 Made with beautifully detailed rhinestone flower cabochon in cognac and silver shades. It is a lovely detail to add to your outfit for a little more sparkle.